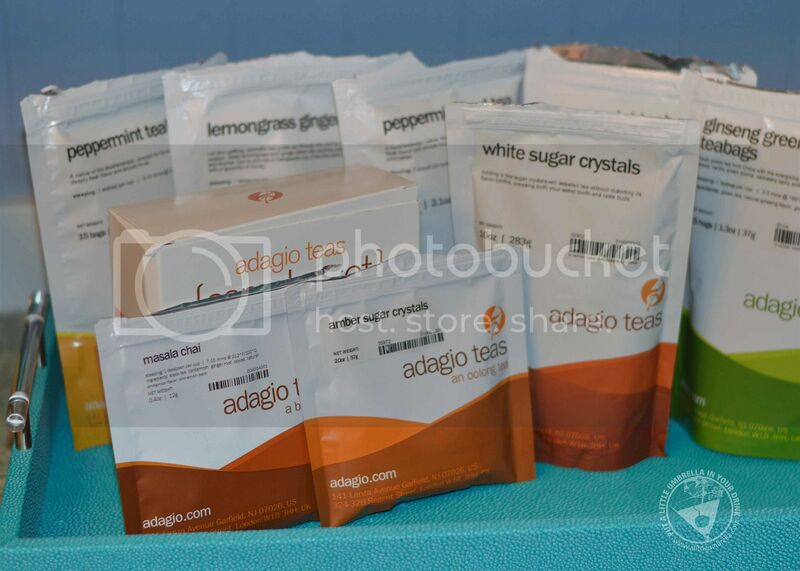 If you love tea like I do, you will love the variety and quality of Adagio Teas. They know tea. It is easy to see why they have become the most popular destination for tea online, and among the highest rated companies on BizRate and Epinions. As you can see, I placed a big order online and it was delivered right to my door. You will find everything from gourmet teas to green tea to black tea to iced tea to innovative tea-ware to teacups and so much more! 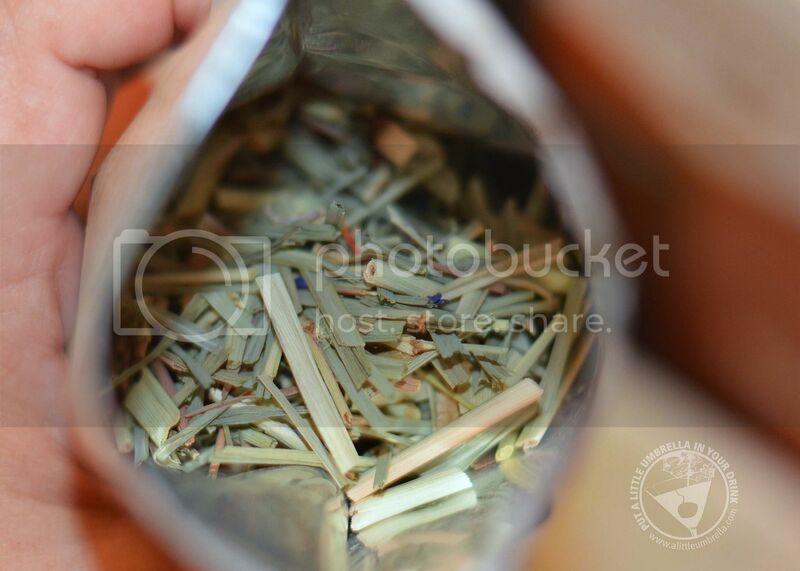 Your tea arrived in fresh sealed bags and you can choose from tea bags or loose leaf. 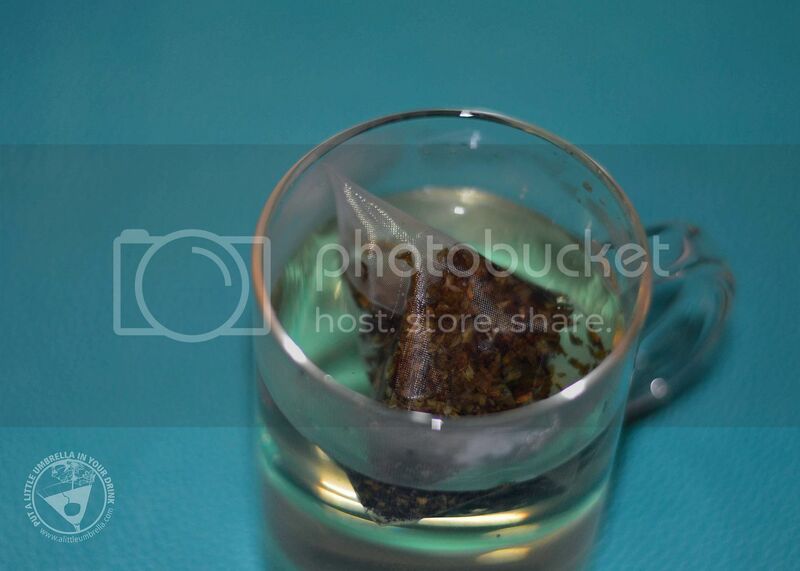 One of my favorite loose leaf teas that I ordered was the lemongrass ginger tea. This uplifting, aromatic tea contains a zesty lemongrass and ginger blend with soothing peppermint and licorice root. Try it with a spoonful of honey for that perfect therapeutic cup. Ginger helps clear your sinuses and calm your cold, peppermint helps to soothe your stomach, lemongrass and peppermint provide uplifting caffeine-free energy, while licorice root coats and calms your sore throat. Mmm ... so good. I also love the spearmint teabags. A native of the Mediterranean, spearmint was revered by ancient Romans for its ability to 'stir up the mind.' It continues to be savored for its refreshingly clear aroma and soothing qualities. It is rounded, slightly smoother and more grounded taste than peppermint, with warming and cooling notes. I love this one after dinner to cleanse my palette and soothe my stomach. Then there is is iced tea, my absolute favorite. 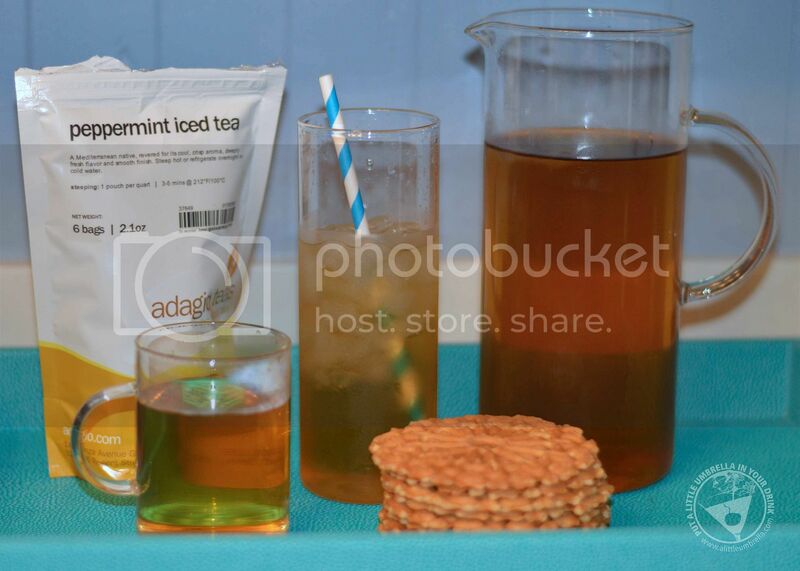 I love Adagio's peppermint iced tea. Can you tell I love minty teas? 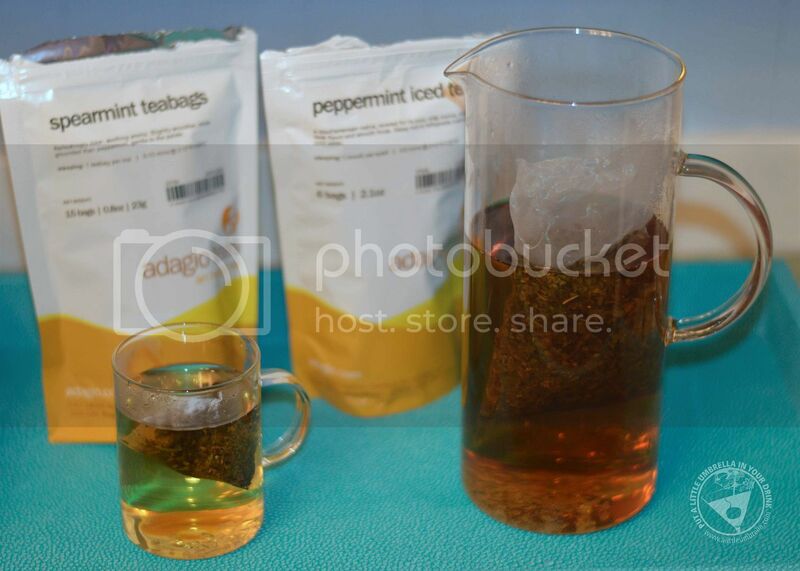 Adagio's premium herbal tea comes in convenient cold-brew pouches. I just steep a pouch in hot water for five minutes and add ice. This variety contains premium peppermint leaves from Oregon, USA. It is so delicious and refreshing! Something else I suggest trying is the white sugar crystals. 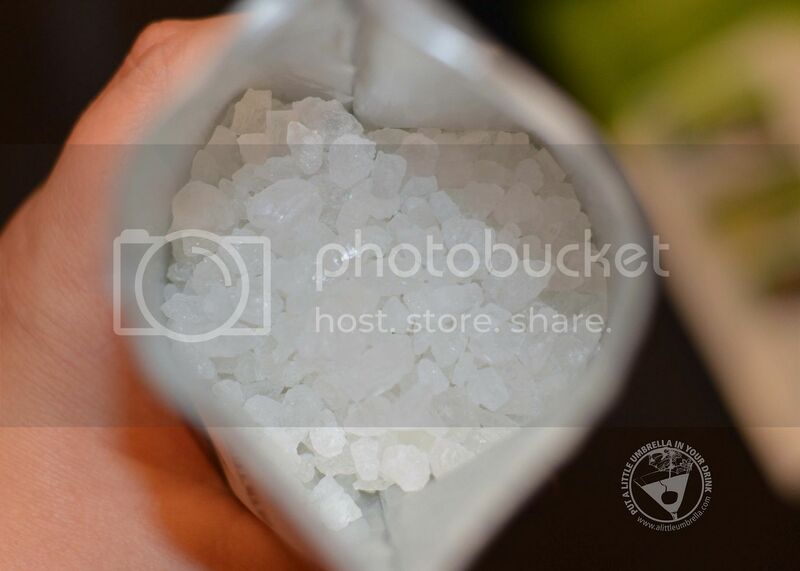 An ideal tea sweetener, these crystals are sugar in its purest form. If you like your tea sweet, there's no better way to impart savory notes to your favorite cup. Adding a few sugar crystals will sweeten tea without distorting its flavor profile, pleasing both your sweet tooth and taste buds. It is so easy to just add a few to your hot or iced tea. Connect :: Visit adagio.com to order fresh teas direct from the source. 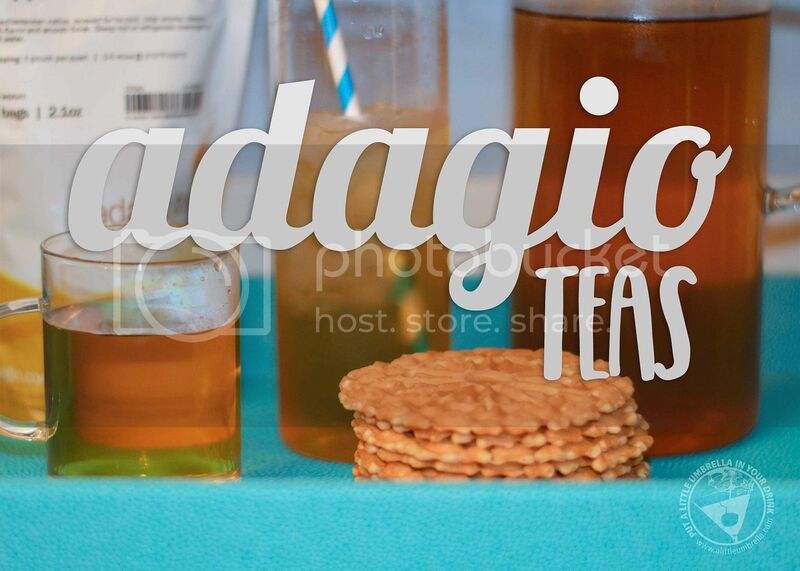 You can also find Adagio Teas on Facebook and Twitter.